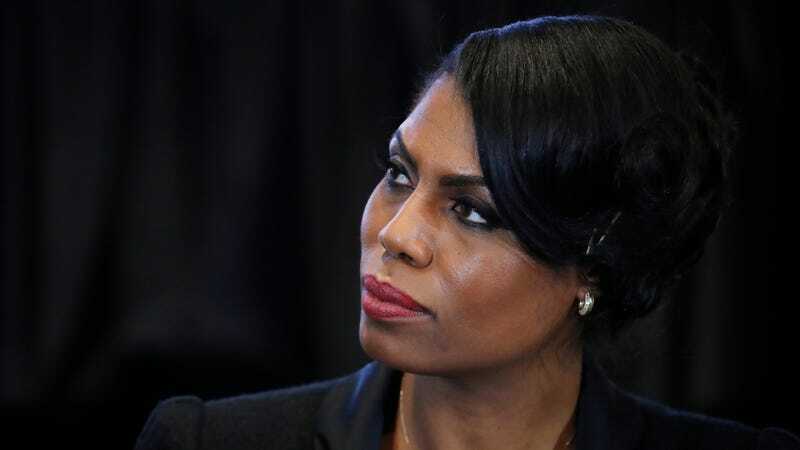 Omarosa Manigault has certainly been a font of political commentary in the short time since she swapped her brief tenure at the White House for Celebrity Big Brother. Last week, she declared vaguely that “it’s bad,” in response to being asked whether the American people should be worried. On Monday, she delivered a slightly more specific warning, this time in reference to hollow-eyed pudding ghoul Mike Pence. As if we didn’t already know. “As bad as Trump is, you’d be worried about Pence,” she said according to Entertainment Weekly. “We would be begging for the days of Trump back if Pence became president. I’m Christian. I love Jesus. But he thinks Jesus is telling him to say things. I’m like, ‘Jesus isn’t saying that.’ It’s scary.” What...is Jesus saying to Pence? Is to quit being such a spooky hair shirt and call his wife by her name? To divest himself of the Koch brothers? That it’s not too late to turn his life around and become a major advocate for Planned Parenthood? The show will run until February 25, and if Omarosa has any sense, she’ll ratchet this thing up and spill the good stuff already.